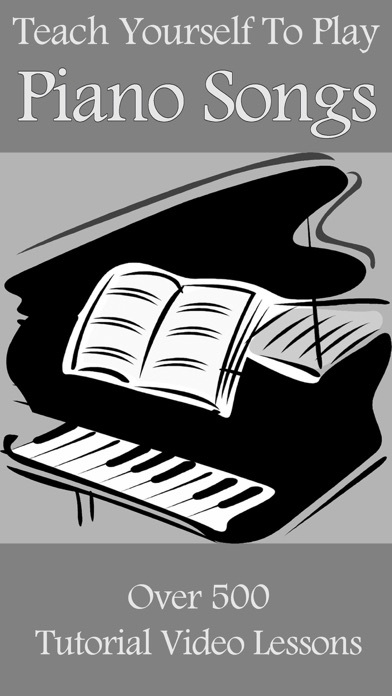 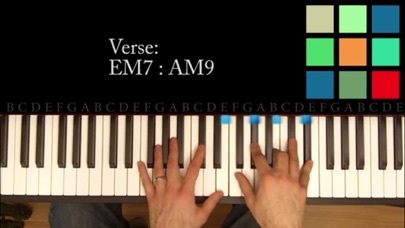 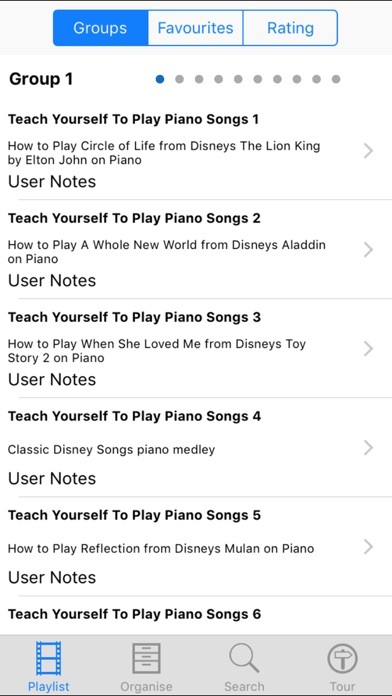 Teach yourself to play hundreds of songs on Piano and Keyboards with this collection over over 500 training video lessons. 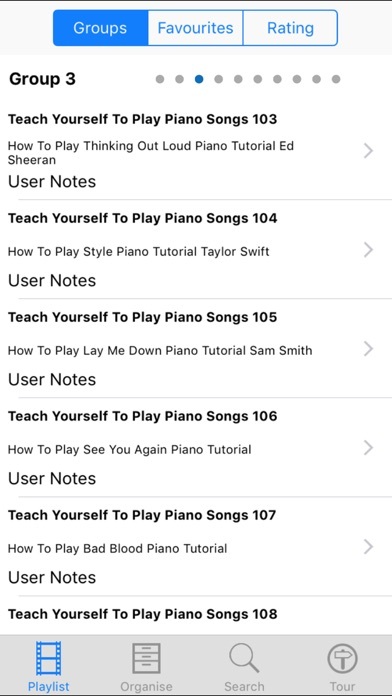 If you are learning or already play the piano or keyboards this is a great tool to add song after song to your own repetoire. 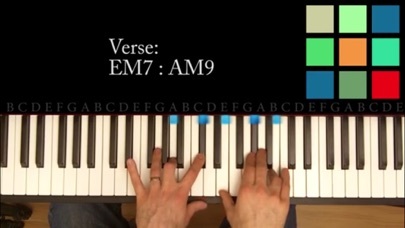 Lessons cover all kinds of music including: How to Play Circle of Life from Disneys The Lion King by Elton John on Piano How to Play A Whole New World from Disneys Aladdin on Piano How to Play When She Loved Me from Disneys Toy Story 2 on Piano Classic Disney Songs piano medley How to Play Reflection from Disneys Mulan on Piano How to Play Part of Your World from Disneys The Little Mermaid on Piano How to Play Under the Sea from Disneys The Little Mermaid on Piano How to Play Can You Feel the Love Tonight from Disneys The Lion King by Elton John on Piano How to Play A Spoonful Of Sugar from Disneys Mary Poppins on Piano Top 10 Disney Songs How To Play A Thousand Years Piano Tutorial Sheet Music Christina Perri How To Play We Are Young Piano Tutorial Sheet Music Fun feat Janelle Monae Skyfall by Adele - Piano Tutorial Sheet Music How To Play I Wont Give Up Piano Tutorial Jason Mraz How To Play It Will Rain Piano Tutorial Sheet Music Bruno Mars How To Play I Knew You Were Trouble Sheet Music Piano Lesson Taylor Swift How To Play Drops Of Jupiter Piano Tutorial Train Someone Like You by Adele - Piano Tutorial Rolling In The Deep by Adele - Piano Tutorial Sheet Music How To Play Hey Jude Piano Tutorial The Beatles How To Play Every Teardrop Is A Waterfall Piano Tutorial Coldplay How To Play Imagine Piano Tutorial John Lennon How To Play Yesterday Piano Tutorial The Beatles How To Play Let It Be Piano Tutorial The Beatles How To Play The Lazy Song Piano Tutorial Sheet Music Bruno Mars How To Play Run The World Girls Piano Tutorial Sheet Music Beyonce How To Play Google Keywords Song Piano Tutorial Joe Raciti How To Play Alligator Sky Piano Tutorial Owl City How To Play Jar Of Hearts Piano Tutorial Christina Perri How To Play Born This Way Piano Tutorial Sheet Music Lady Gaga How To Play Winning Piano Tutorial The Gregory Brothers How To Play Double Rainbow Piano Tutorial The Gregory Brothers How To Play This Too Shall Pass Piano Tutorial Ok Go How To Play All You Need Is Love Piano Tutorial The Beatles How To Play Hallelujah Piano Tutorial Jeff BuckleyLeonard Cohen Rhapsody on a Theme 18 Piano Lesson Rachmaninoff Learn Piano Tips Tricks Chops and Style How To Play Love You Like A Love Song Piano Tutorial Selena Gomez How To Play The Story Of Us Piano Tutorial Sheet Music Taylor Swift Piano Tutorial The Blues Piano Tutorial Joe Raciti How To Play Skyscraper Piano Tutorial Sheet Music Demi Lovato How To Play Waiting Outside The Lines Piano Tutorial Greyson Chance How To Play Lovesick Piano Tutorial Never Shout Never How To Play Iridescent Piano Tutorial Linkin Park How To Play The Edge Of Glory Piano Tutorial Lady Gaga feat punkchyaz How To Play Rain Over Me Piano Tutorial Sheet Music Pitbull feat Marc Anthony How To Play Liar Liar Piano Tutorial Christina Grimmie How To Play You And I Piano Tutorial Sheet Music Lady Gaga How To Play Fly Me To The Moon Piano Piano Tutorial Frank Sinatra How To Play Hair Piano Tutorial Lady Gaga Sheet Music How To Play Whos Laughing Now Piano Tutorial Sheet Music Jessie J How To Play Grenade Piano Tutorial Sheet Music Bruno Mars How To Play Dont Know Why Piano Tutorial Norah Jones How To Play Have Yourself A Merry Little Christmas Piano Tutorial Sheet Music Judy Garland How To Play Hark The Herald Angels Sing Piano Tutorial Sheet Music Felix Mendelssohn How To Play Fur Elise Piano Tutorial Sheet Music Beethoven Where Have You Been by Rihanna - Piano Tutorial Sheet Music How To Play Lego House Piano Tutorial Sheet Music Ed Sheeran How To Play Hit The Lights Piano Tutorial Selena Gomez How To Play Love Story Piano Tutorial Sheet Music Taylor Swift and more.